Zack Vohaska is a helicopter pilot in the U.S. Army — a job that sometimes requires him to be away from home for months at a time. 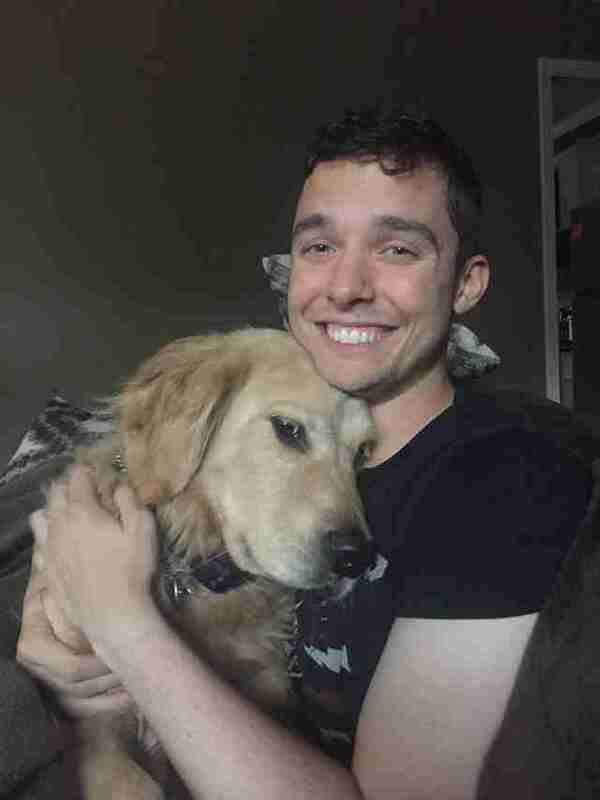 Returning from those deployments is made all the better thanks to his dear dog, Buddy. Vohaska's most recent homecoming was no exception. "He’s put up with a lot," Vohaska told The Dodo. "This time I was gone for six, almost seven months for a second combat deployment. But we’re super closely bonded; he’s like my shadow." Rather than simply show up to the house and reunite with Buddy on this return home, Vohaska decided to make this appearance a little surprise for his furry friend. While Buddy was out, Vohaska hid beneath some blankets on the couch so that his dog would have to find him — which he did with such sweet anticipation and pure excitement. Here's a video of that special moment. Buddy couldn't be happier. Neither could Vohaska. The two best friends were back together. 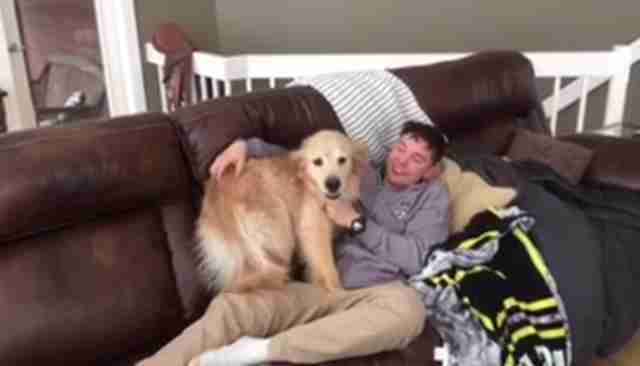 "When I saw his reaction, my heart melted because Buddy has been through so much and I felt crushed having to be away from him for so long," Vohaska said. Hopefully, the adorable duo will get to enjoy one another's company long into the foreseeable future. But there's no doubt that, during those times they are apart, Vohaska and Buddy are never far in each other's hearts.